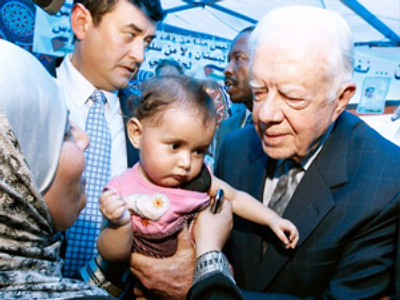 Brazil’s President Lula is searching for peace in the Middle East. Hugging Iran’s Ahmadinejad and driving for dialogue with all the regional players, his talks have set Brazil into uncharted territory. “The most popular politician on earth,” as Barack Obama dubbed Brazil’s President Lula, has forged a friendship with Iran’s President Ahmadinejad. 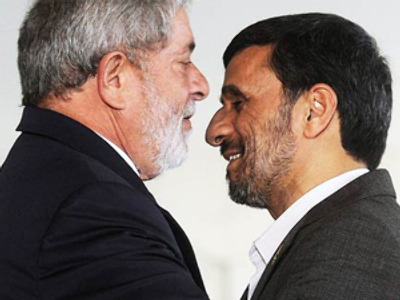 On November 23, Mahmoud Ahmadinejad was welcomed to Brazil with a hearty bear hug from the Brazilian. In hosting President Ahmadinejad, President Luiz Inacio Lula da Silva is engaging Iran without preconditions. This openness is in stark contrast to the US and EU policy to isolate Iran over its disputed nuclear ambitions. By greeting Ahmadinejad with smiles, Lula is developing a relationship beyond the diversified bilateral trade and visa-free travel issues on the agenda into something altogether idealistic. “I work for the building of peace in the world. I defend peace in the Middle East,” he said at a press conference following their three-hour meeting. Rather than the threats of sanctions sought by the US, Lula called for an easing in the tensions surrounding Iran’s international relations. In exchange, President Ahmadinejad – the first Iranian president to ever visit Brazil – backs the right of the world’s fourth largest democracy to a permanent seat on the UN Security Council. President Ahmadinejad welcomed Brazil’s participation in Middle Eastern affairs. “It can help promote peace and stability,” he said after the discussion and claimed they shared a foreign policy based on a humanitarian perspective. Oil-rich Iran’s current international problems center on its nuclear ambitions, which it states are purely peaceful. These claims are disputed by Israel, as Ahmadinejad has openly stated his intention to “wipe Israel off the map”. Regional tensions are high. On November 22, Ahmadinejad’s air force played a war game to defend their nuclear facilities from a potential Israeli attack. 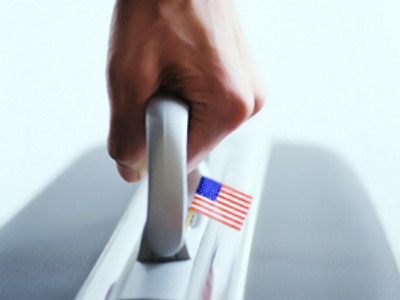 This inclusivity undercuts the West’s hard-line policy to the Iranian nuclear program. Lula has emerged with a distinctive voice among the major international powers. Brazil’s economic power and political leadership in Latin America give it resonance. The Brazilian has sought the role of mediator, a position that is respected by leaders as diverse as Iran’s Ahmadinejad and President Shimon Peres of Israel. Just in November, Lula also hosted President Mahmoud Abbas of the Palestinian Authority and Israel’s President Shimon Peres, as well as Ahmadinejad. In March 2010, the Brazilian expects to strengthen his mediator role. He plans return trips to Israel, Iran and the Palestinian territories, as well as visiting Jordan and Syria to understand a broader range of viewpoints. A strong Brazilian engagement in diplomatic issues in the Middle East and Latin America has led to areas of disagreement with the US. Brazil has criticized the US for its role in the Honduran crisis following June’s coup. Lula took an active diplomatic role, which diverged from the US position.